One of the most iconic landscapes on earth. The name alone carries a mystique, a mythical aura of adventure. 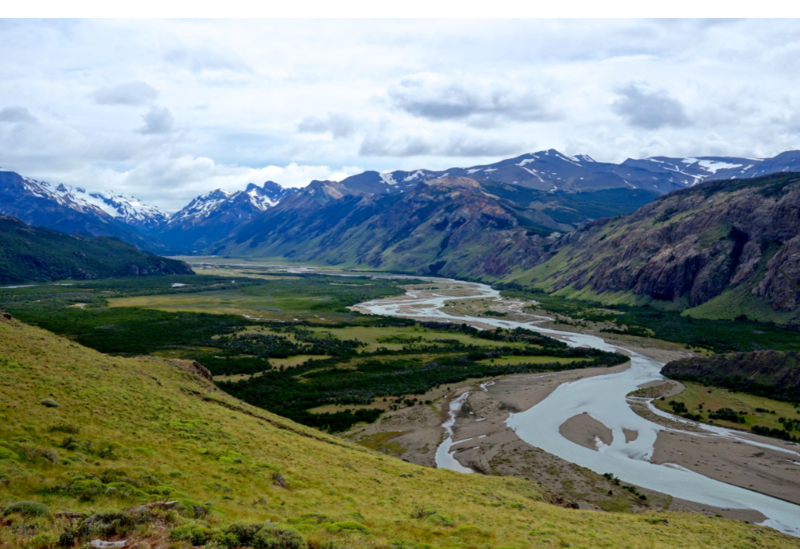 Join us in February, 2020, as we launch our inaugural trip to PATAGONIA -- one of the world’s premier adventure destinations. 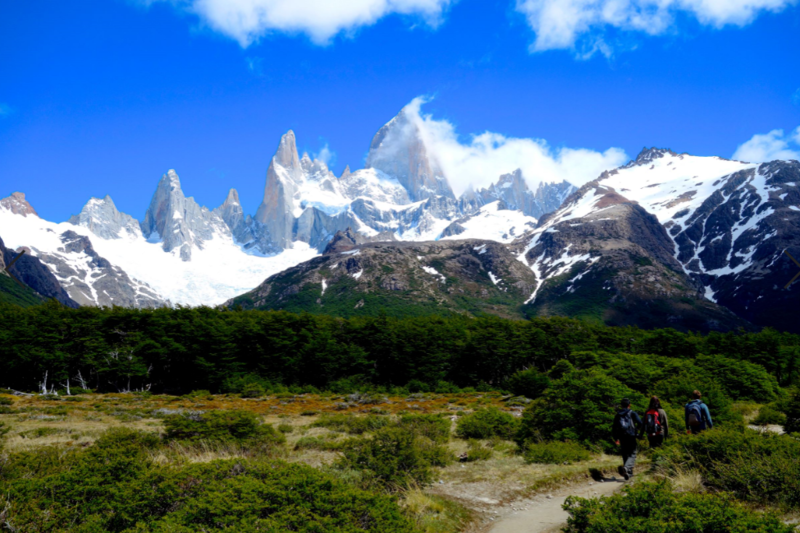 This 11-day itinerary encompasses the greatest adventures Patagonia has to offer ... hiking on the massive Perito Moreno glacier in Parque Nacional Los Glaciares, trekking in the shadow of the imposing Mount Fitz Roy near the Andean outpost of El Chaltén, completing the world-renowned ‘W-Trek’ through the incomparable Torres del Paine National Park (a UNESCO Biosphere Reserve), ‘glamping’ under the stars in an EcoLodge voted one of the world’s best hotels. 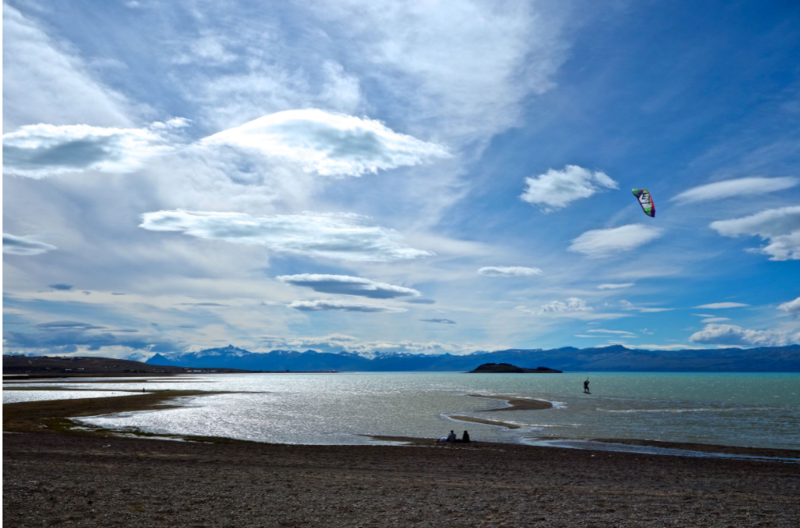 We’ll gather in the mountain town of El Calafate, Argentina, on the shores of the magnificent Lago Argentino. Guests will have the first afternoon to recover from the long travel day while exploring the quaint lakeside village- then it’s ‘Adventure: ON’ for the next 11 days. ‍PAYMENTS: A $500 (per person) deposit is due when you submit the reservation form. Your 2nd payment (50% of remaining balance) will be due October 1, 2019 . 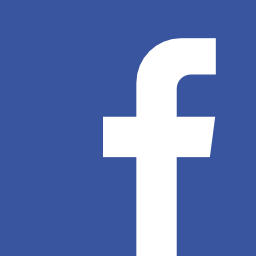 The remaining balance will be due December 1, 2019. You’ll receive a reminder email when these are due. CANCELLATIONS: Your deposit (less a $150 fee) will become non-refundable after September 1, 2019. All other payments are non-refundable after they have been paid. 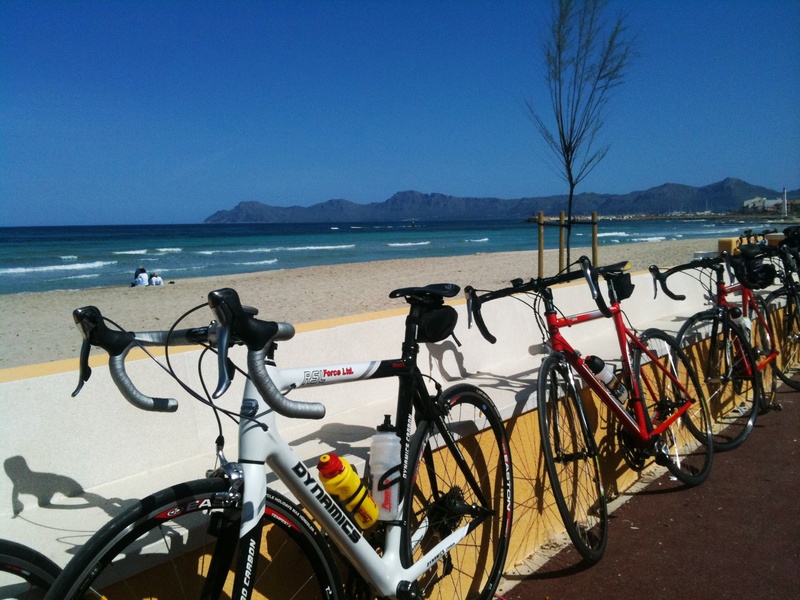 PHYSICAL DEMANDS: This is the right trip for energetic people who like to be active and have a spirit of adventure and a positive attitude. To enjoy this trek it is essential to be in shape before you arrive. It is not wise to regard this trek as a means of getting into shape or losing excess weight. Start a program of conditioning well before departure. Click the Itinerary tab above for daily details. Day One: Travel Day. Arrive in El Calafate. 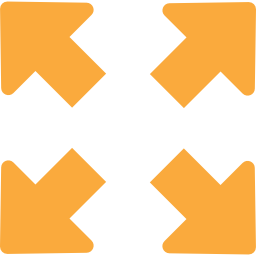 Airport: Comandante Armando Tola International Airport is an airport in Santa Cruz Province, Argentina. 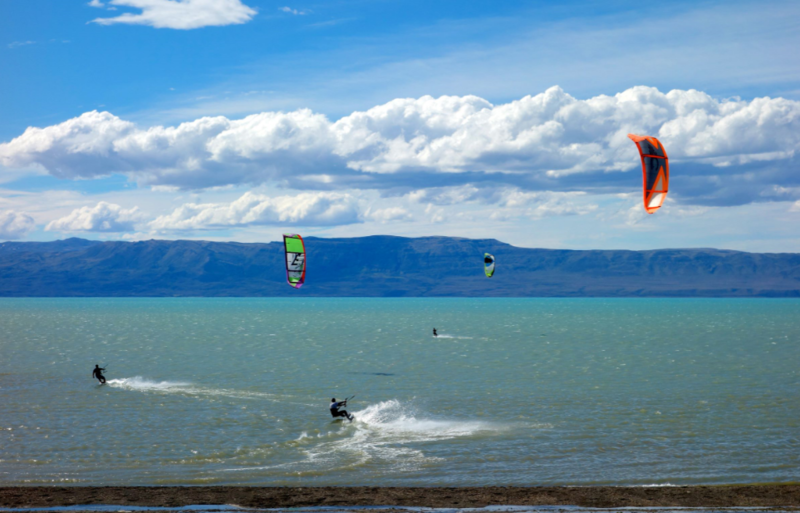 It is located approximately 21 km east of the city of El Calafate. 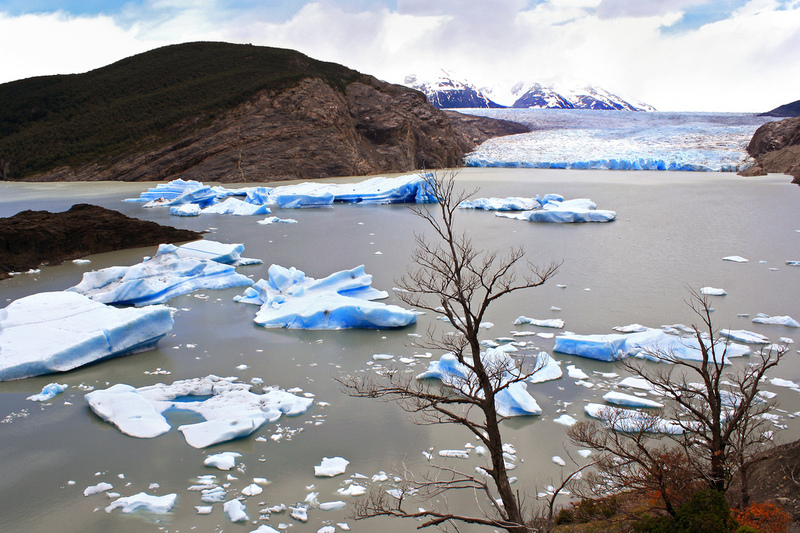 You’ll be met at the airport when you arrive by a hotel shuttle and driven to the town of El Calafate. Take this day to explore the town or relax a bit. We will all meet up tonight for our welcome dinner. 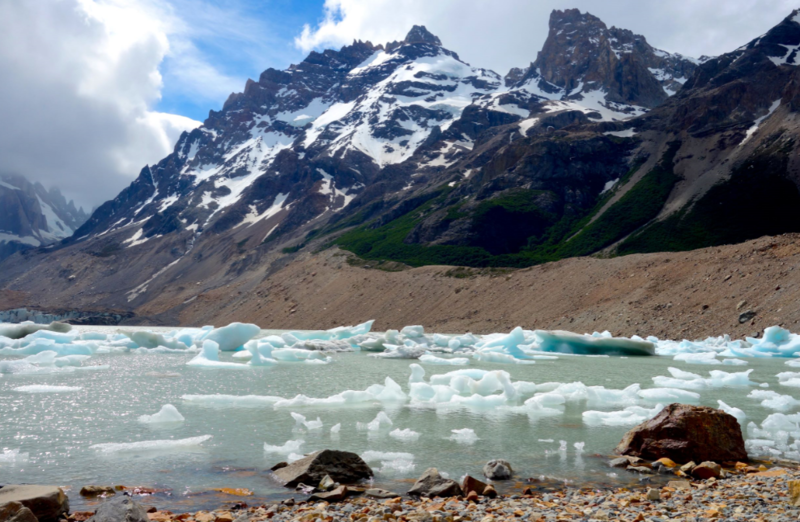 Explore the shore of Lago Argentino- a short walk from our hotel for magnificent views of the spectacular Lago Argentino. Visit the Ecological Reserve of Laguna Nimez- a wild bird sanctuary near town; home to over 80 species of birds; a boardwalk with informative signs winds amongst a handful of small lakes; rent binoculars if desired. 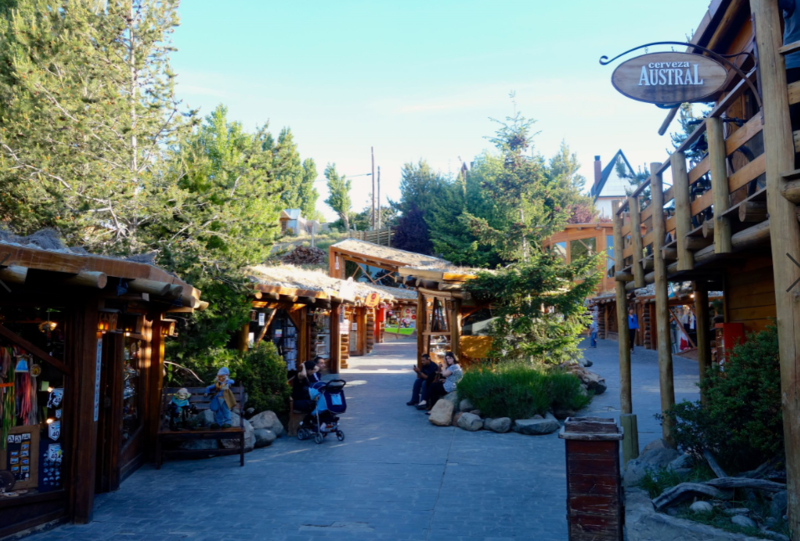 Check out the Centro de Interpretacion Historica- a small museum in town giving the natural and human history of Patagonia, enjoy a traditional 'mate' and talk with the guides. Go to the Glaciarium and IceBar (Free shuttle from the Tourism Bureau in Town Center)- Learn all you ever wanted to know about glaciers and Glacier National Park, and, if you're up for it, drink cocktails out of frozen glasses in the IceBar. 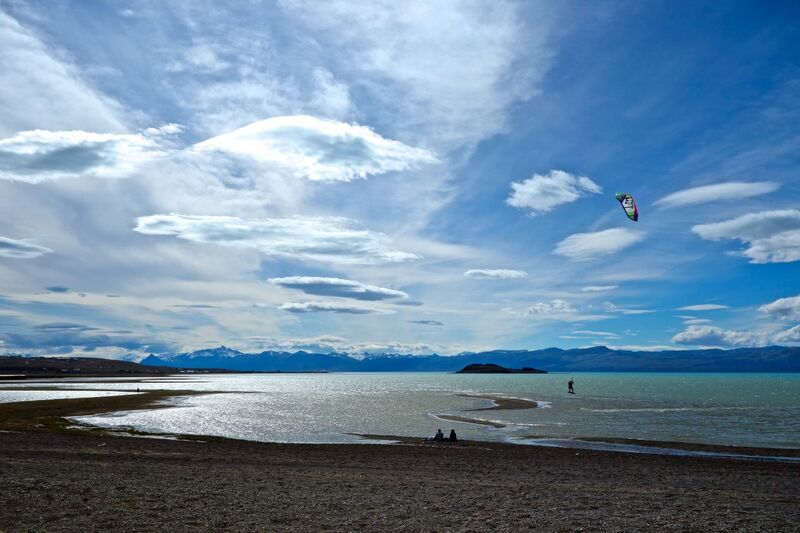 Set in a charming building facing the Argentino Lake, Mirador del Lago Hotel offers rooms with stylish décor, and breakfast, 1,000 feet from the city center. It features a lounge with a fireplace overlooking the lake. With classy décor, rooms at Mirador del Lago Hotel feature cable TV and mini-bars. 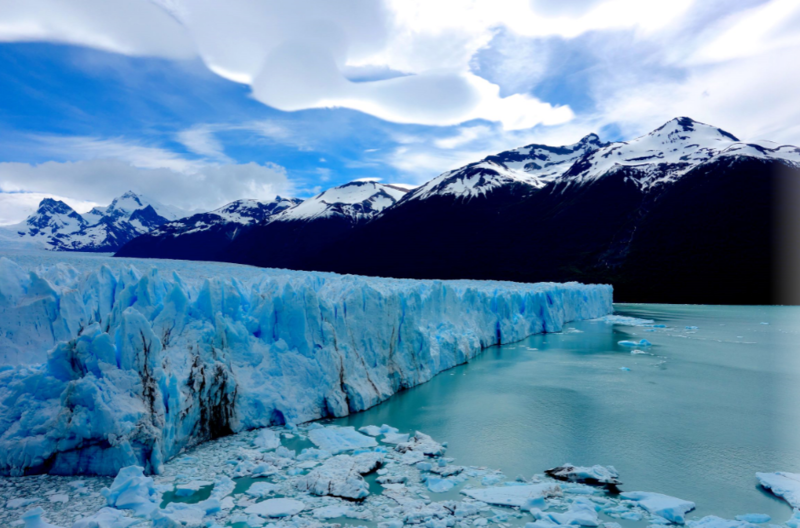 El Calafate is a town near the edge of the Southern Patagonian Ice Field and is mainly known as the gateway to Los Glaciares National Park, home to the massive Perito Moreno Glacier. 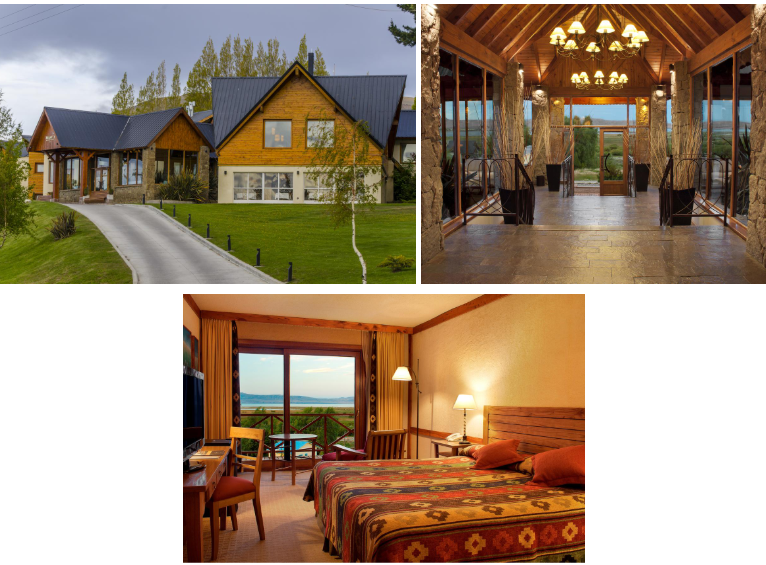 Our first two nights will help acclimate us for the week and we will take advantage of our luxury accommodations overlooking Lago Argentino. 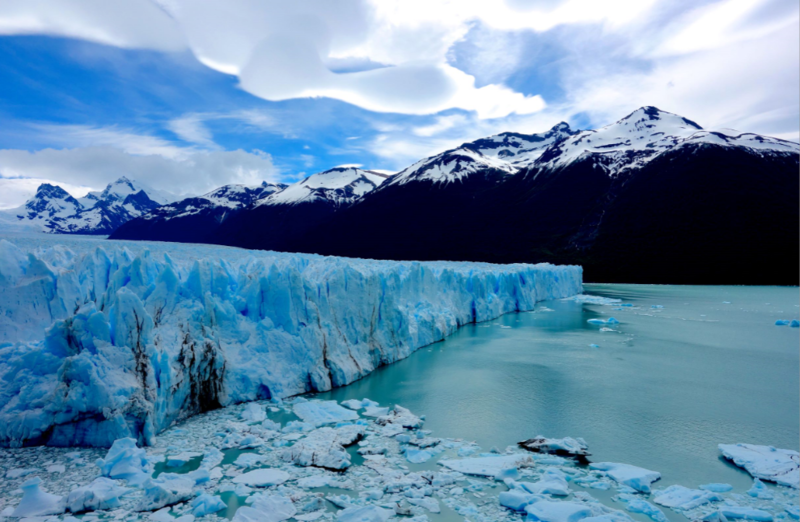 If you only visit one glacier in your life, Perito Moreno should be the one you see. 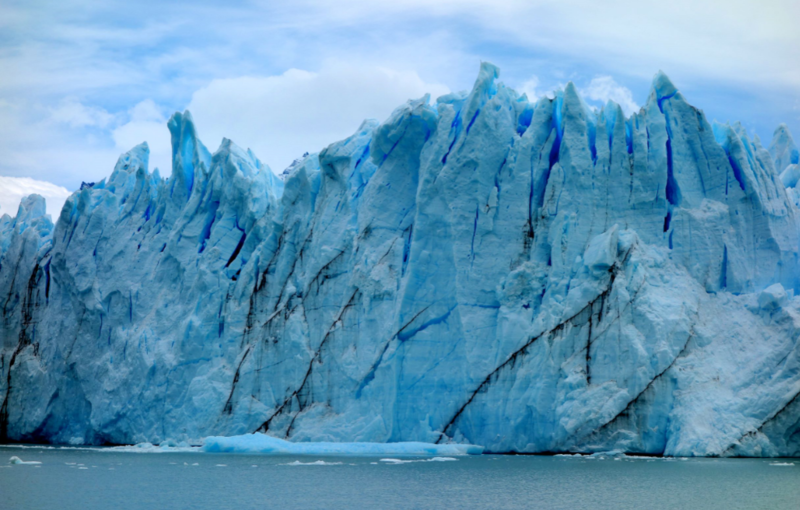 This stunning mass of ice spans 121 square miles and, remarkably, is still growing. 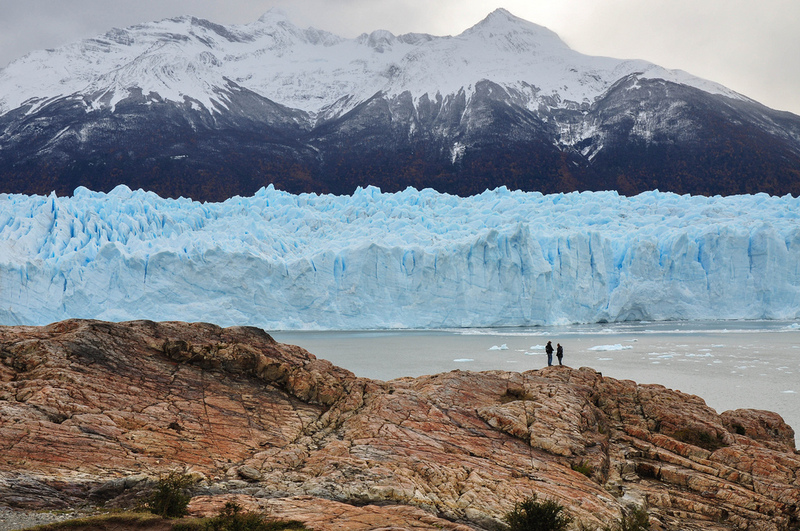 It towers above the turquoise glacial water of Patagonia’s Los Glaciares National Park, beaming a blinding white and exuding cold blue hues. 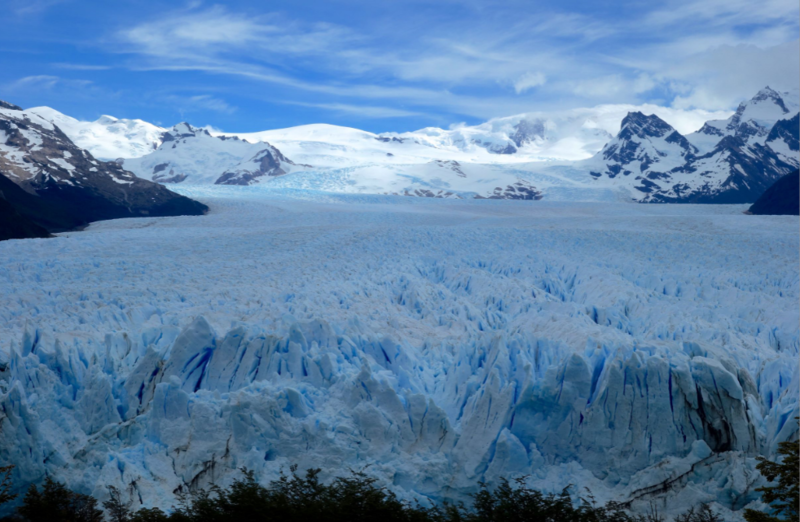 This day of adventure on Perito Moreno Glacier includes all necessary hiking equipment, including crampons and harnesses. We will have a local guide to ensure your comfort and safety while teaching you about the glacier's ecology, geology, and wildlife. Today’s ice hike is considered moderately difficult. We will spend an hour and a half hiking to the glacier, and then three and a half hours out on the ice. A boat will ferry us back to port where we’ll then return to our hotel in El Calafate for the evening. 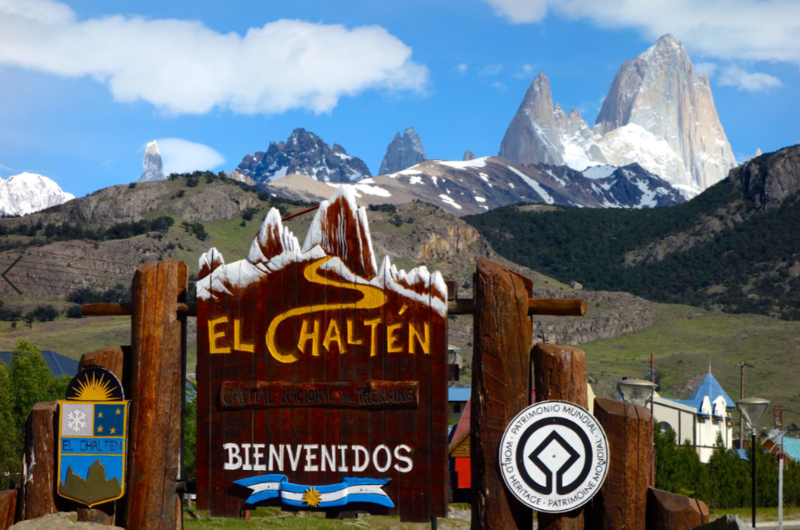 This morning, we will pack our bags before heading to the Andean outpost of El Chalten, about 3 hours north of El Calafate. Upon our arrival, we will leave our bags at the hotel and get ready for today’s hike. The trailhead is within walking distance from the hotel and will lead us to a spectacular viewpoint with panoramic views over Videma Lake and the mountains beyond. After the hike, you will have ample time to settle in. Later in the evening, we will eat a hearty dinner to prepare for tomorrow’s hike! After checking out of our hotel, our hike starts with a somewhat steep slope which will bring you to viewpoint of the valley of the De las Vueltas river. You will continue along rivers and streams periodically. 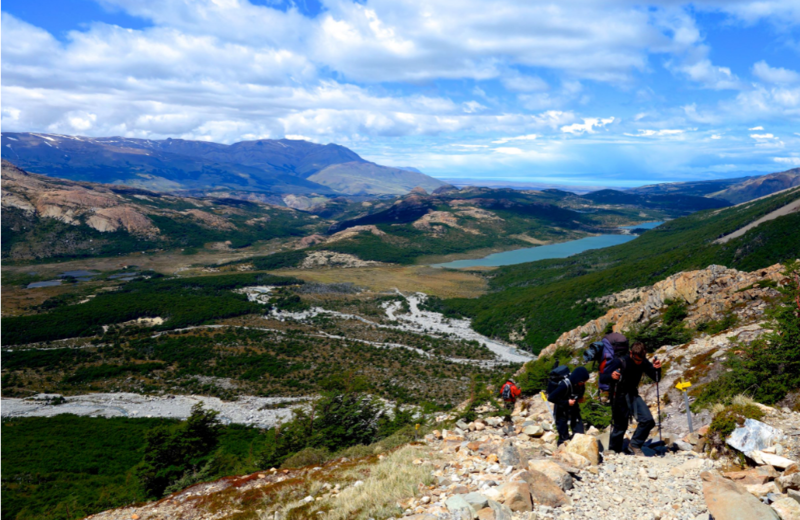 Eventually we will have another climb to the Tres Lagoon which will require more than an hour of effort to get to the top. 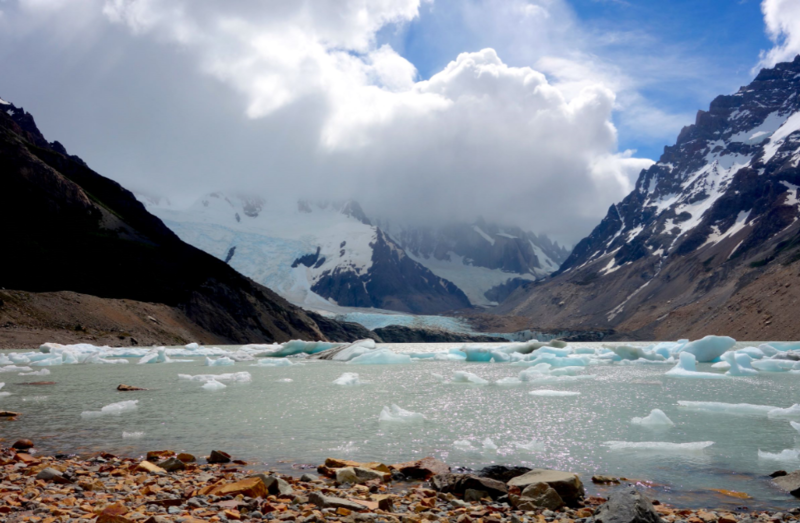 The road ends at the ancient ridge, with an extraordinary view of the lagoon and glacier of the Tres. 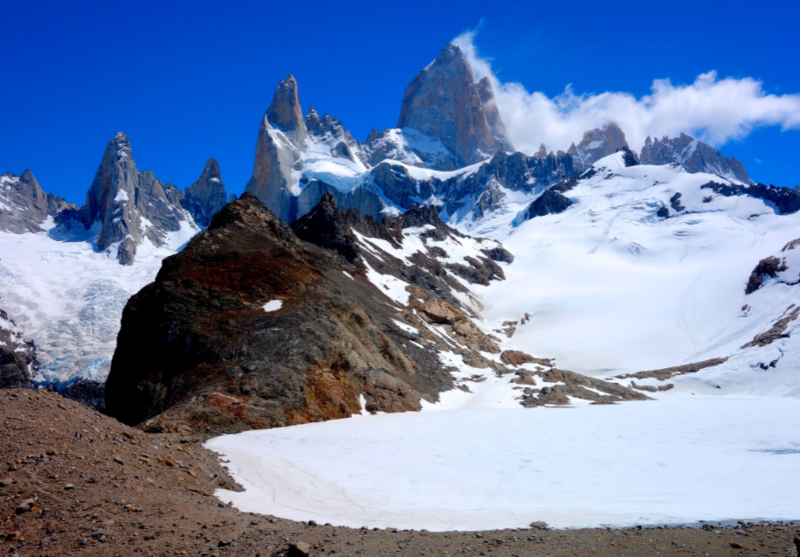 This is the closest view of the wall of Mount Fitz Roy that you can get. Before boarding our bus, we will be sure to grab a bite to eat and a celebration beer for our time in Argentina. In the morning, we will be heading to Chile! 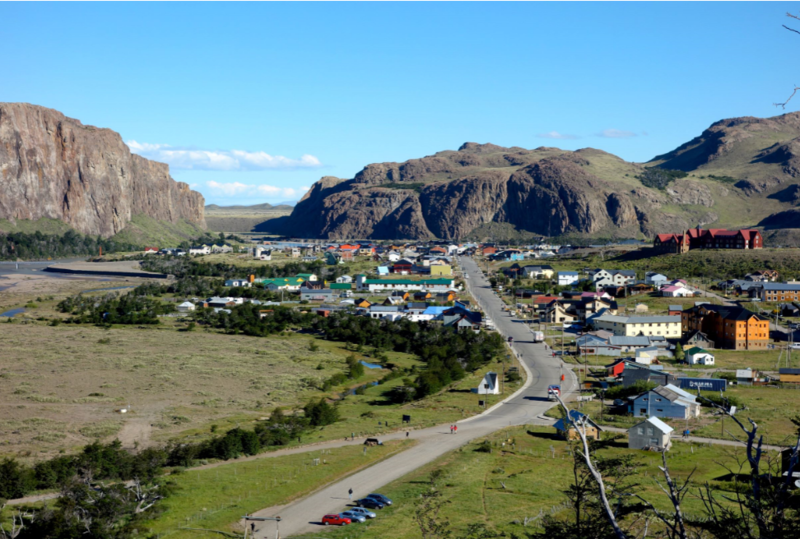 In the morning, we will board a public bus headed to Puerto Natales, a small, lively town on the shores of "Seno de Ultima Esperanza", where we will enjoy a hearty local lunch in Chile. 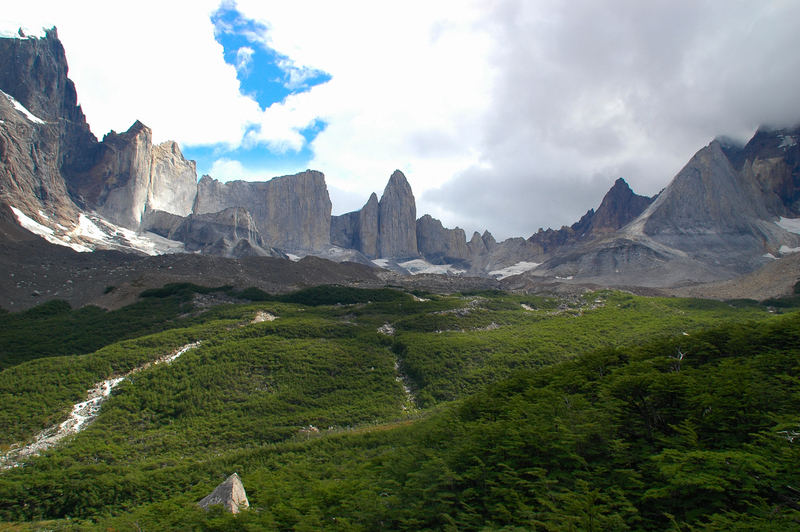 From here, we will grab a private van to take us to our stay inside of the Torres del Paine National park. 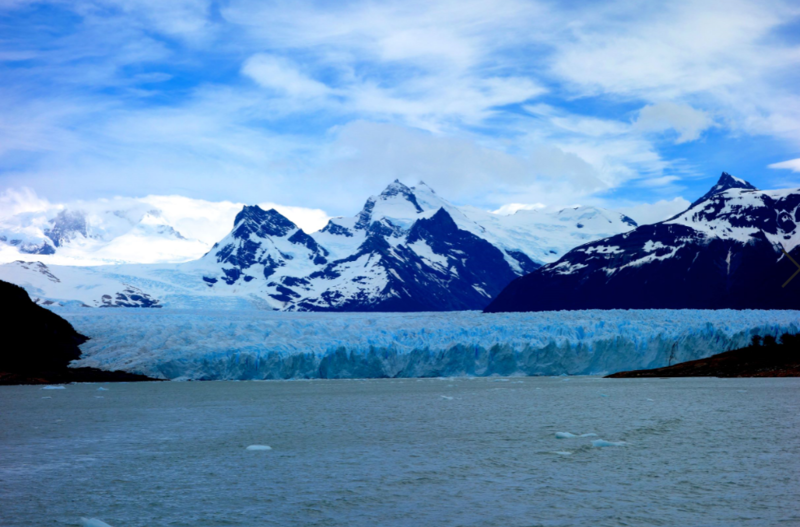 The journey is scenic and highly atmospheric, featuring many wild birds and wonderful Patagonian landscapes. 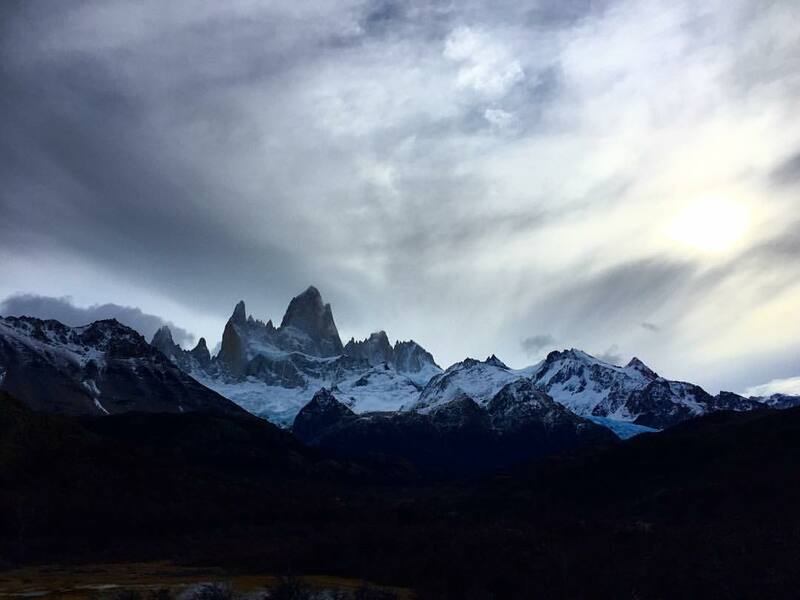 The day ends with our arrival and overnight stay at EcoCamp Patagonia, with a prime view of the majestic Torres. 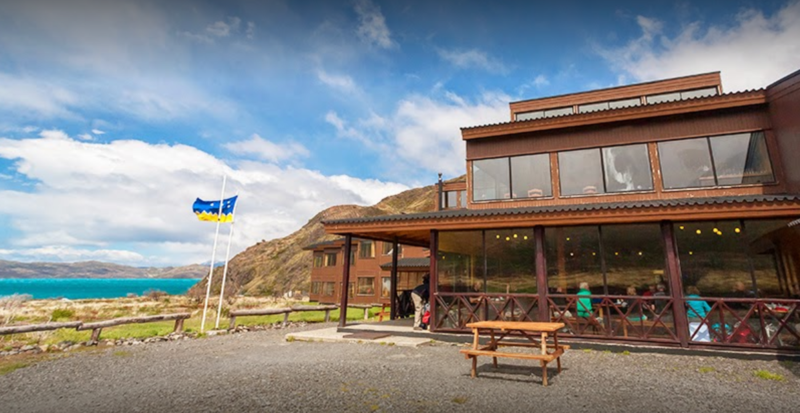 Ecocamp Patagonia is located in the heart of Torres del Paine National Park in Chile, with views of the majestic granite towers. 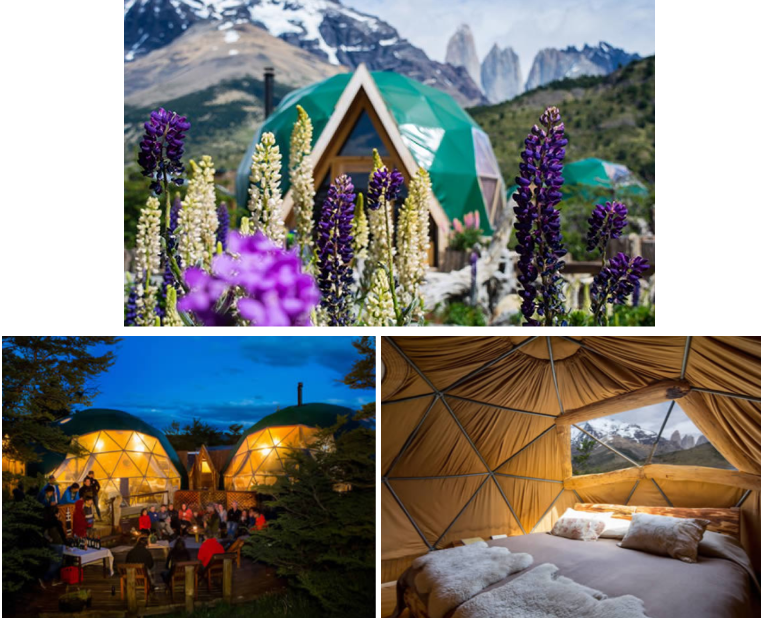 The region’s first sustainable lodge south of the Amazon and the first of its kind in the Patagonian wilderness, EcoCamp offers upscale camping in domes inspired by the region’s ancient nomadic inhabitants. They are resistant to the strong Patagonian winds, and come equipped with two single beds (doubles on request), cozy fleece blankets and feather quilts. There are windows in the ceiling for stargazing. Our domes include shared bathrooms which are large, comfortable and gender divided. For the next couple of days, we have a local guide joining us to help navigate and tell us all about the region. 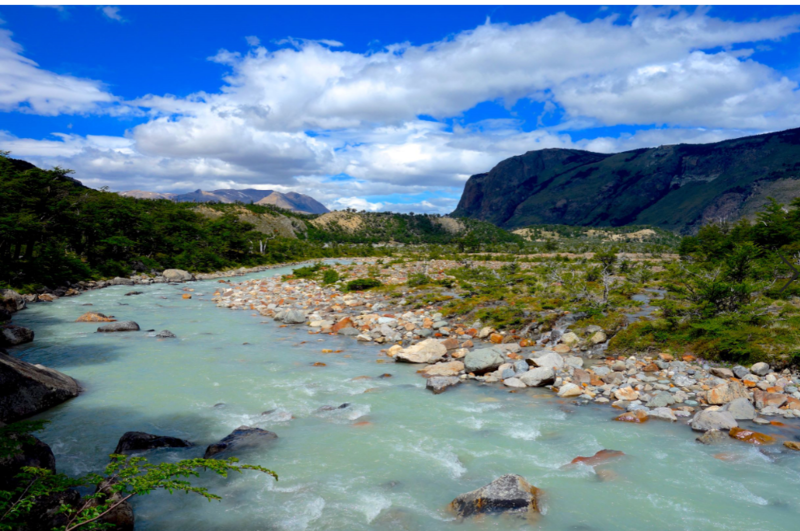 After breakfast today, we drive toward Pudeto dock where we board a catamaran to Pehoe, from here we will begin the challenging trek to Valle Frances (French Valley), along a steep trail that leads to the very heart of the Paine Massif. How far in we go depends on our group's trekking rhythm. A swifter walk will lead us to the hanging bridge over the French River, located at the foot of the south east face of the Massif, where we will be treated to fantastic views of the valley. We continue to ascend towards the upper section of the valley where we will be able to marvel at the extensive mass of the valley's geological formations. After our upward trek, we will pause for a picnic and relax a while. 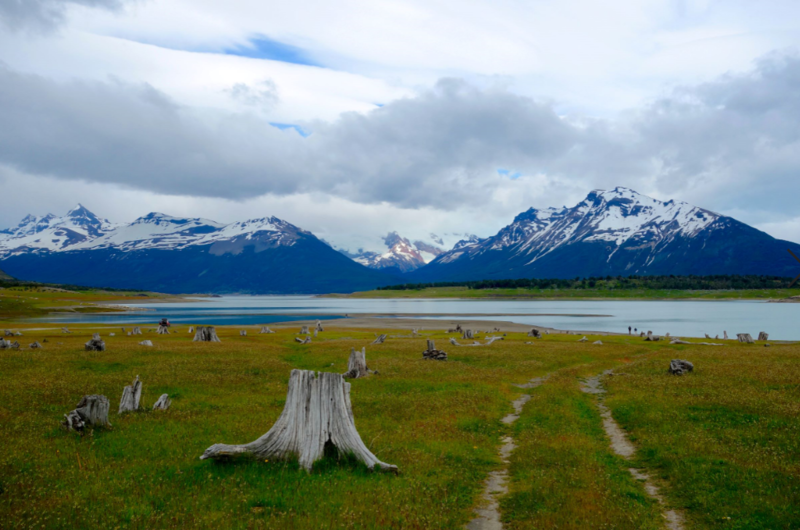 This day's trek will end as we descend through an undulating terrain of mixed grassland and light forest which will take us to Refugio Paine Grande, located on the peaceful shores of Lake Pehoe. 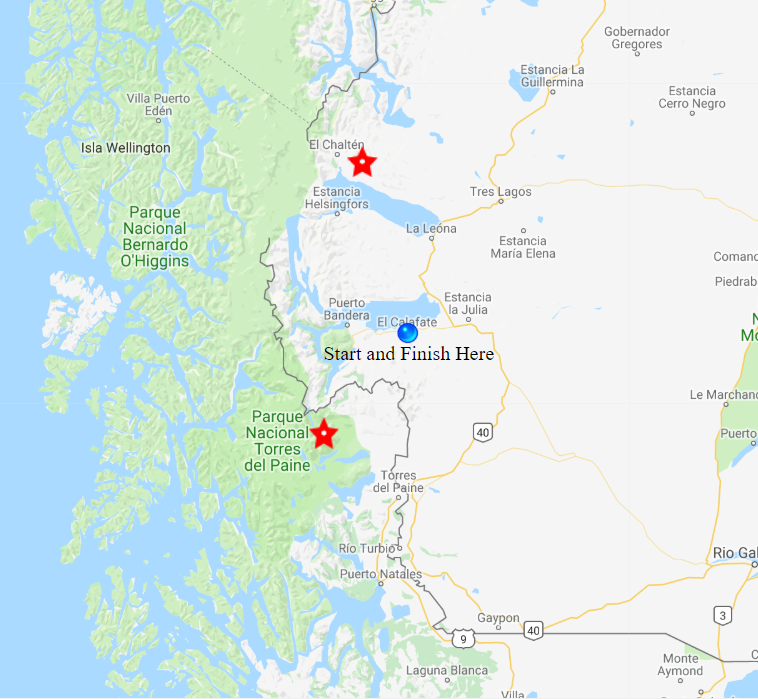 This day will see us hike from Paine Grande Refugio along the shores of Lake Pehoe to the northern side of the glacially beautiful Lake Grey. 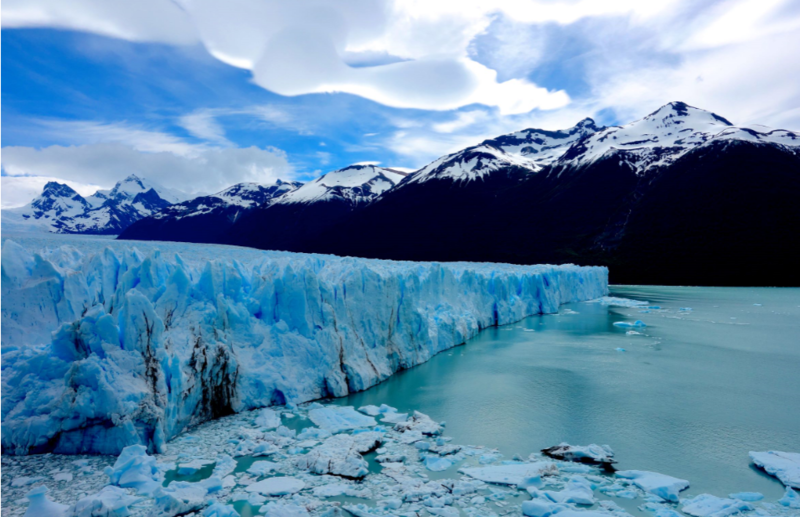 We will feast on a picnic lunch before boarding the boat that sails right to the huge, crystalline facade of Glacier Grey, where we will have plenty of time to marvel at the calving glacier. 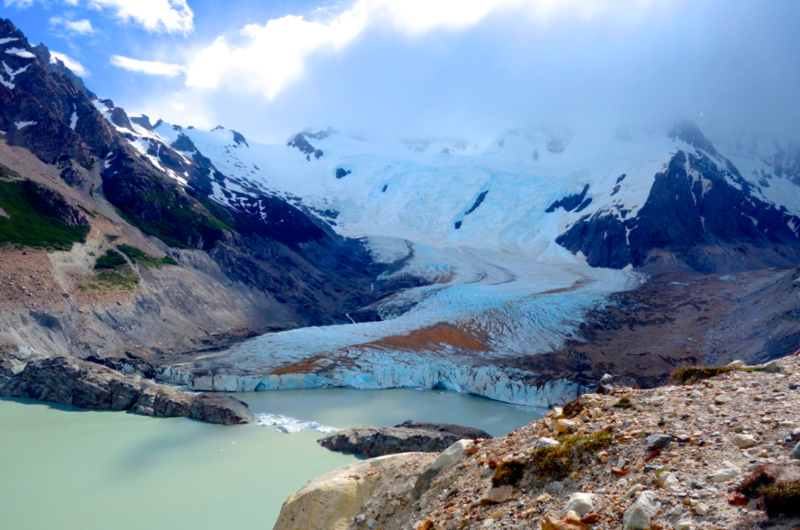 From the southern end of Glacier Grey, we will transfer to EcoCamp. Then we will return on foot to Paine Grande and take a catamaran to Pudeto’s dock, where we will be picked up and driven to EcoCamp. 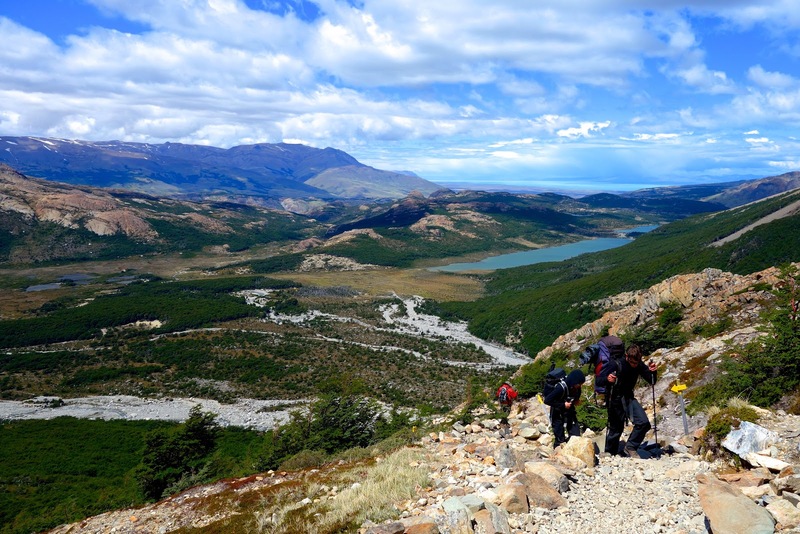 The goal of the penultimate day of our W trek will be to complete the most famous trekking trail in Torres del Paine National Park! 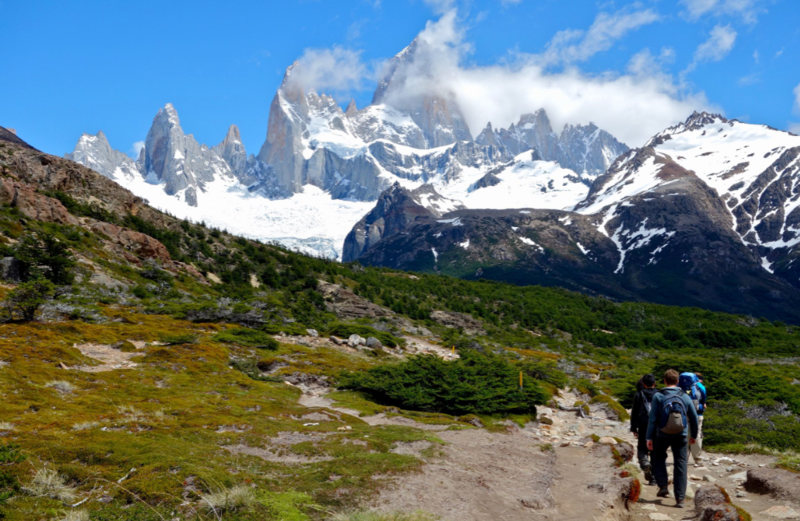 We will walk from EcoCamp towards Hostería Las Torres before ascending to Ascencio Valley on the Tower's eastern face. Mountain ridges, beech forests and small rivers line the scenic walk towards the valley. Our big challenge comes in the form of the steep moraine, a huge mass of boulders which will lead us to that iconic base-view of the Towers - Three gigantic granite monoliths, the remains of a great cirque sheared away by the forces of glacial ice. After a tough uphill climb, the Towers eventually come into full view, rising majestically before us, with the glacial lake visible below. Is there any better place in the world to have lunch? 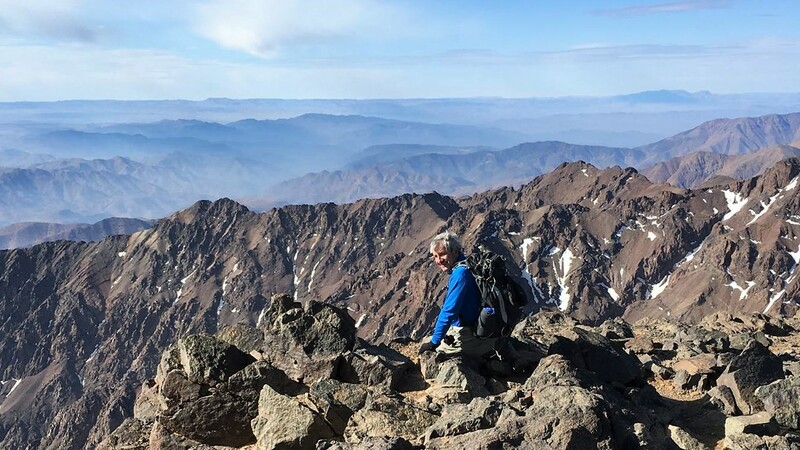 After feasting on the view and our picnic, we backtrack along the same trail through Ascencio Valley and return to EcoCamp for a well-deserved dinner. 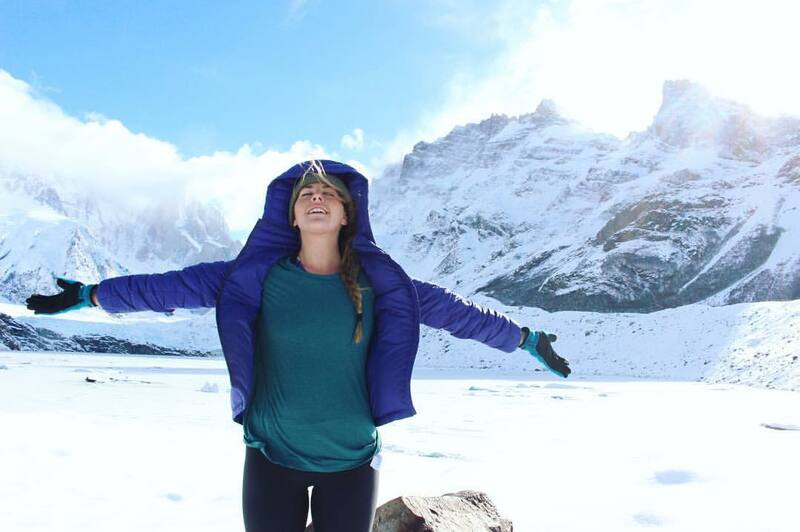 Day Ten: Adios Torres Del Paine! 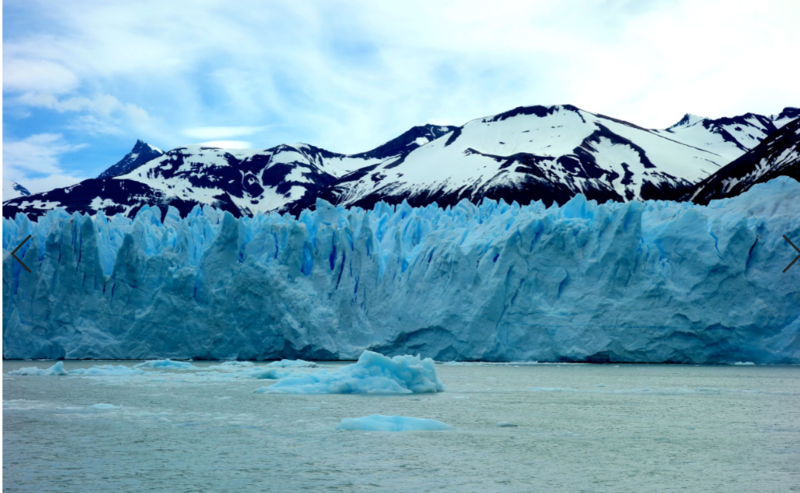 We will board an early morning vehicle, sit back, relax, and enjoy a scenic ride back to El Calafate. We will have a final celebration dinner in El Calafate. 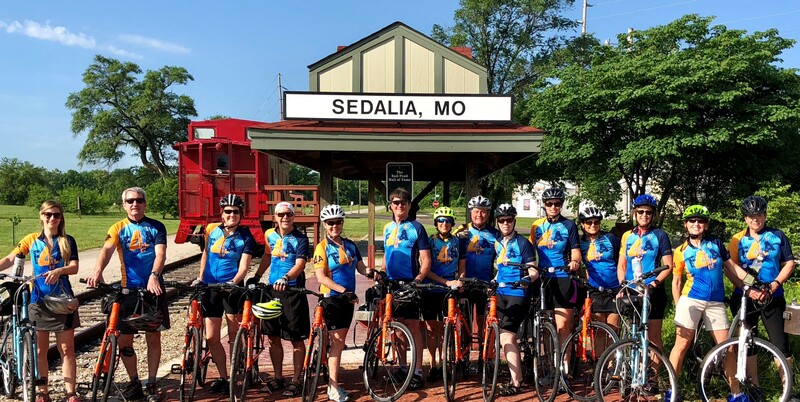 Day Eleven: Departure Day. 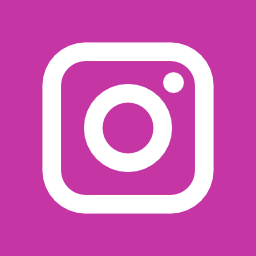 Schedule flights out of Comandante Armando Tola International Airport at any time.